Washington, DC – U.S. 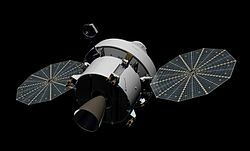 Congressman Pete Sessions (R-Dallas) announced that a test version of NASA's Orion spacecraft, a next generation astronaut vehicle, will visit North Texas on its cross-country trip from the White Sands Missile Range in New Mexico to the Kennedy Space Center in Florida. Dallas residents have the special opportunity to view a full scale test crew module and learn more about NASA’s space hardware and program.